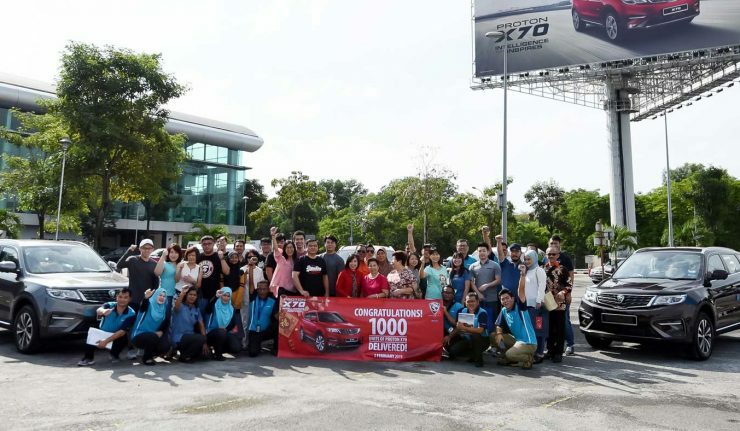 In conjunction with Proton’s recent Chinese New Year open house that took place across 74 Proton 3S & 4S outlets, the national carmaker also delivered over 1,000 units of the Proton X70 SUV to customers in a single day. The open house was attended by Proton customers from all walks of life to celebrate the Lunar New Year as well as an opportunity to reach out and connect with X70 customers. Customers who took delivery of their new SUV were briefed with a comprehensive presentation on how to maximise the unique features of their new car. There are four variants of the X70 on sale today – Standard 2WD, Executive 2WD, Executive 4WD and Premium 4WD with prices ranging from RM99,800 to RM123,800. All variants are powered by a 1.8-litre turbocharged four-cylinder TGDi engine and 6-speed automatic transmission pushing out 183 hp and 285 Nm. 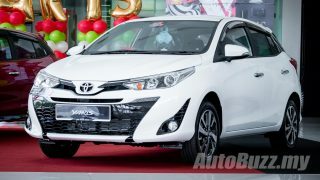 Features that are standard across the range include smart keyless entry, dual-zone automatic climate control with Clean Air Ioniser, LCD instrument cluster, 8.0-inch touchscreen GKUI infotainment system, reverse camera, six USB charging ports, rear air vents, six airbags, electronic stability control and Hill Descent Control.